Can't get enough FUNgus at Fungus Fair? 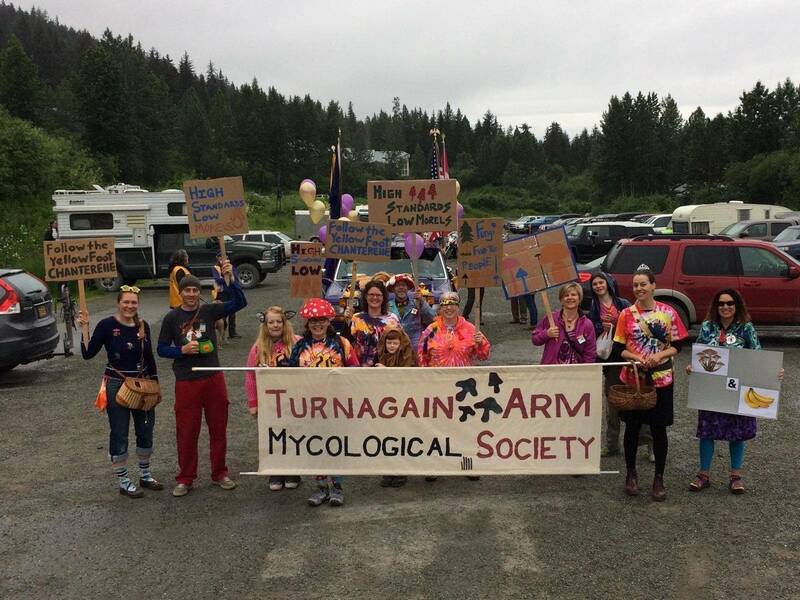 Join the Turnagain Arm Mycological Society (TAMS)! In addition to putting on the Girdwood Fungus Fair, we also host several events throughout the year, along with monthly meetings/talks. To Join: Fill out the forms and send with dues to the address listed in the forms. You'll be the first to know of planned club activities, get a tshirt, and support the club! You don't need to be a member to go to any meeting, but you do to participate in a club foray. Read the latest Fungi Magazine Article featuring TAMS and the Girdwood Fungus Fair! Help the public with the age old question "Is this mushroom edible?" and other mushroom identification questions. 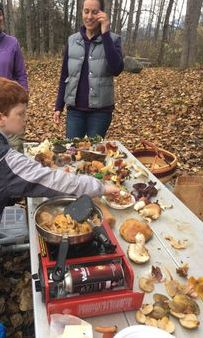 Sponsor community events such as forays and talks throughout the mushroom season.